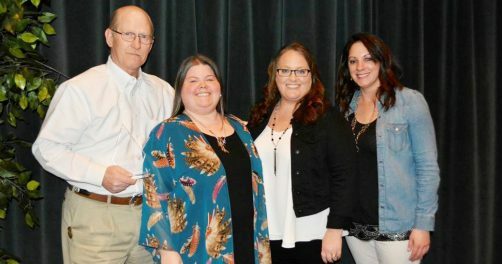 For the first time, the Texas Corrections Association (TCA) has recognized two private prison staff members and a volunteer for outstanding service. 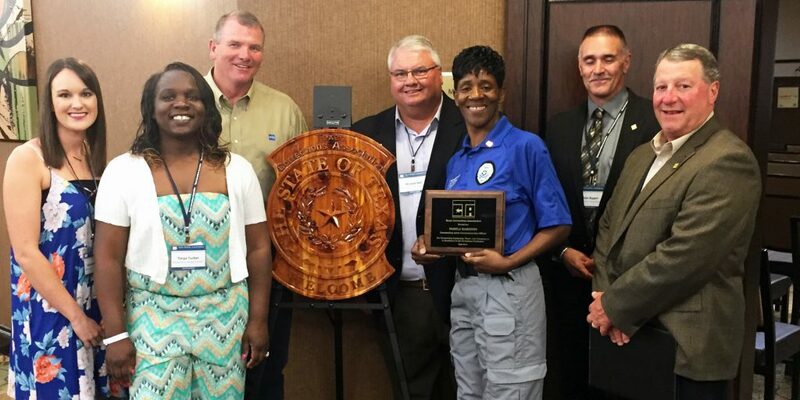 TCA held is annual conference in June and presented awards to Officer Pamela Hamilton from the East Texas Treatment Facility, Officer Thomas Barnard from the Bradshaw State Jail, and Pam Randall, a volunteer at the Bridgeport Correctional Center. 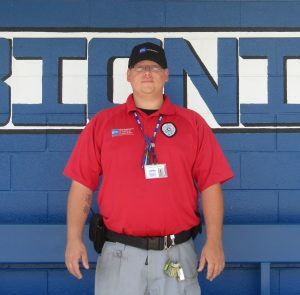 Officer Hamilton has worked at East Texas for nearly 10 years. 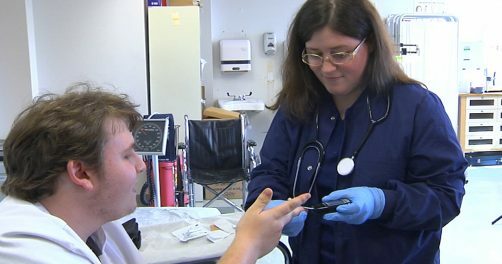 She works with the facility’s special needs SAFPF population, parole and probation female population, and with offenders in the DWI program. Hamilton’s colleagues also have tremendous respect for her naturally caring personality. She has mentored many new officers, and they have expressed gratitude and admiration for Hamilton’s knowledge and work ethic. 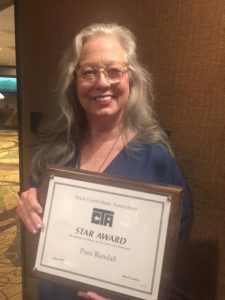 The Texas Corrections Association also recognized Pam Randall who volunteers at MTC’s Bridgeport Correctional Center. Pam is a certified volunteer chaplain’s assistant and the founder of Life Restoration, a nonprofit, charity organization. She has facilitated countless classes at the facility. Pam teaches incarcerated individuals about the importance of boundaries, integrity, honesty, a strong work ethic, identity, forgiveness, and other positive behaviors and attitudes. Officer Thomas Barnard works at the Bradshaw State Jail and has various responsibilities at the facility. This is what management staff say about Officer Barnard. Pam is also the founder of the Moses Project which provides handmade bassinets to various organizations that help new mothers. Pam and her team of volunteers teach the incarcerated men and women how to sew, crochet, quilt, and embroider. 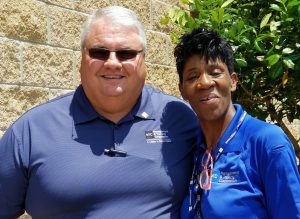 Congratulations to Pamela Hamilton and Pam Randall for their excellent service and for being the first individuals ever at a private facility to be recognized by TCA.